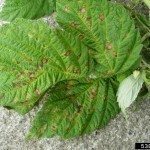 A typical day in the garden can be ruined by the appearance of a stray insect that leads you to the discovery of an infestation, or worse, a few discolored, curled leaves and the dawning realization that your raspberry plants have contracted raspberry leaf curl virus. Unfortunately, leaf curl disease is much more than a cosmetic problem — the curled leaves on raspberries are an early clue that your plants have a deadly disease. Raspberry leaves curling is just one sign of raspberry leaf curl virus, an incurable disease vectored by the small raspberry aphid (Aphis rubicola). Leaves will change, sometimes dramatically, during the early stages of infection. Often, they arch stiffly or curl downward and change colors; red raspberries usually develop yellow leaves, while black raspberries turn very dark green, with a greasy appearance. As the disease progresses, the canes may also stiffen and become brittle, and fruits mature small, seedy and crumbly, making them inedible. A mild infection may go unnoticed for the first season, but a severe case of leaf curl disease visibly reduces yields and decreases the winter tolerance of your plant. You may find your canes die back considerably more than usual while they’re dormant. 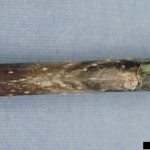 Raspberry leaf curl virus can kill a raspberry stand in two to three years and cannot be cured. 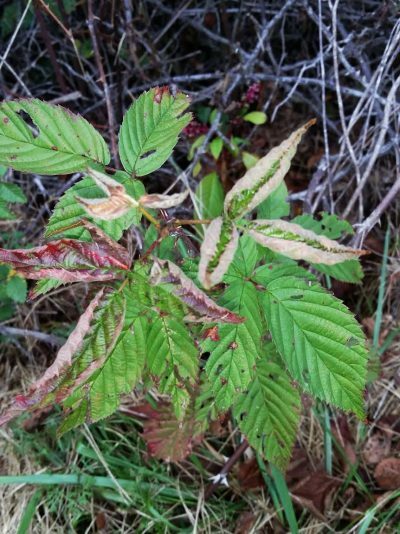 If there are already curled leaves on raspberries in your garden, and other signs of leaf curl disease are emerging, you need to remove and burn or double bag infected plants as soon as possible. 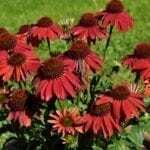 There is no cure or treatment for this disease and by removing infected plants, you may save clean plants nearby. Before replanting your raspberry stand, remove any wild caneberries nearby, as well as neglected brambles. Purchase certified, virus-free nursery stock from a reputable supplier when you’re ready to plant again. Make sure that you clean your tools well before removing the new raspberries from their pots, to prevent transmission of virus from infected plants to your clean stock via shovels and pruners. Sticky cards help you monitor for aphid activity once your raspberries are planted. 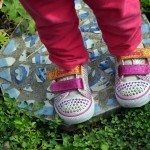 These pests are easily sprayed from leaves with a garden hose, or you can spray weekly with insecticidal soap to knock down any aphids on the plant, visible or not. Harsher pesticides are sometimes used, but these will destroy the beneficial insects that may be your best defense against aphid activity. If your plants are very valuable or you’re raising just a few bushes, you may want to consider installing a screen house around your plantings. Using a screen with a very fine mesh will prevent new aphids from entering the area and keep commercially available aphid predators, like lacewings or ladybugs, close to your crop. If you decide to use beneficial insects, make sure they have an alternative food source and water supply.